Liana Brackett: Meteorologist, STEM advocate, and Mrs. Georgia America 2018! A few weeks ago, Liana was crowned Mrs. Georgia America, and on Saturday, August 25 at 4p PDT, she’s competing in the Mrs. America pageant. Rest assured, she’ll have the entire staff at The Weather Channel cheering her on! We wanted to know from her perspective what it takes to prepare for a pageant, how it felt to be crowned Mrs. Georgia America, and how her passion for meteorology shines through when competing. Have you done pageants before Mrs. Georgia America? This was my first pageant ever! Growing up, I was curious about pageants, but never took that leap to actually do one. So, it’s an incredible feeling knowing that I’ve accomplished that goal I had. What inspired you to get into pageants? What did you do to prepare for the Mrs. Georgia America pageant? 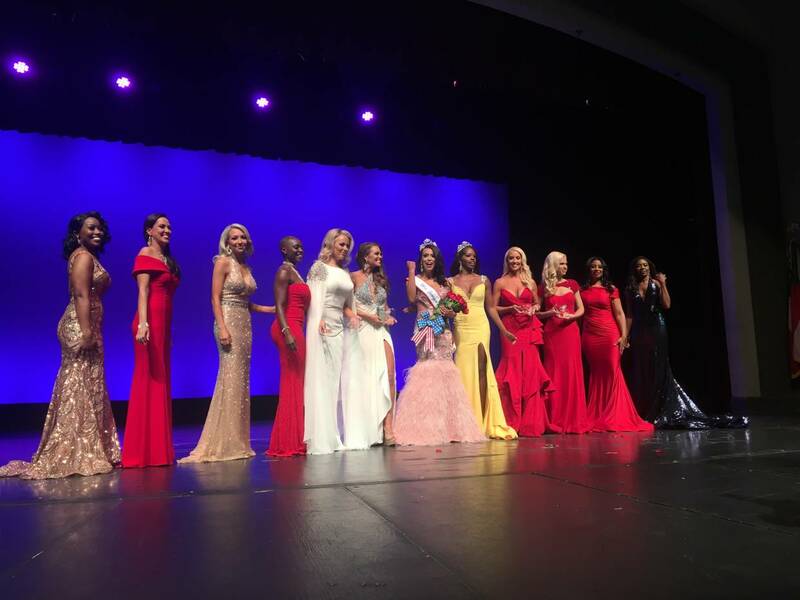 How did it feel to be crowned Mrs. Georgia America? Incredible and surreal! I was honestly just enjoying the moment and no matter what the outcome was, I knew I had a blast trying out something new. You hear a lot about the camaraderie that is cultivated during pageants. Did you make a lot of friends at the Mrs. Georgia America pageant? I did walk away from the experience with friends. Honestly, before this experience, the extent of my pageant knowledge came from TV and the movie, “Miss Congeniality.” So when I walked away with new friends, it definitely was a surprise to me. All of the women I met are intelligent and passionate about their communities. Did you incorporate your passion for meteorology and STEM in your interviews? Yes I did! I encourage and mentor young women to pursue careers in STEM because I didn’t have anyone through grade school do that for me. In fact, I had a teacher in grade school encourage me *not* to pursue science because I struggled in my science classes growing up. I could have easily let that teacher’s opinion influence my future, but I chose not to and look where I am today. Side note: I did end up running into the same teacher after graduating with my Bachelor of Science in Atmospheric Science and I will never forget his facial expression when I told him I was taking a position with the National Weather Service as a forecaster! How will preparation for Mrs. America be different from preparation for Mrs. Georgia America? The main difference is I only had two months before the Mrs. America pageant to prepare and now I’m up against 51 other women, not a dozen. And it’s funny, there is another meteorologist competing in the pageant! What are the odds, right?! What are you most excited for in the upcoming pageant? I’m most excited to be out of my comfort zone. It’s different speaking about weather in front of the TV camera than performing on a Las Vegas stage in front of people. What sort of message do you hope to convey to the audience during the pageant? That I’m bringing the best version of myself on that stage! I’m so excited to walk across the Mrs. America stage, the meteorologist way! When and where can we tune in to watch you take the stage at the Mrs. America pageant? The pageant will be live streamed on the Mrs. America Facebook page and website on Saturday, August 25. It starts at 4pm Pacific time. I can’t wait! We wish Liana Brackett the best of luck in the Mrs. America pageant! Pass along your well wishes, comments, and questions below!